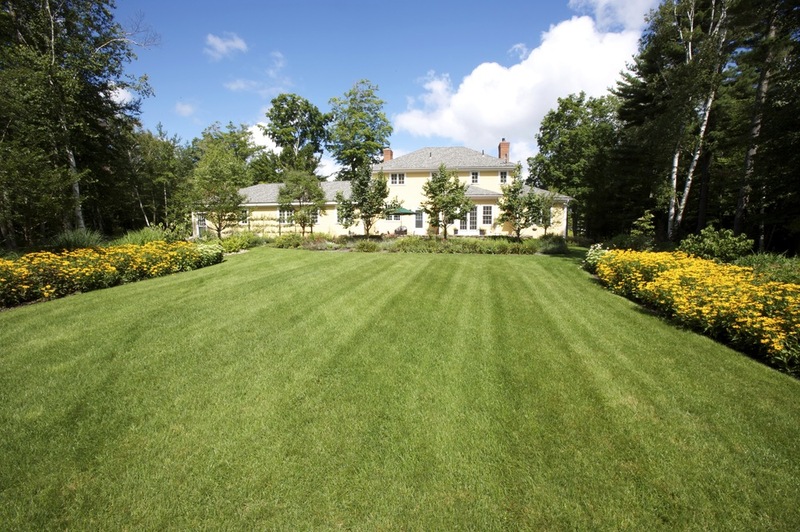 When we first saw this country estate, we were struck by the possibilities. 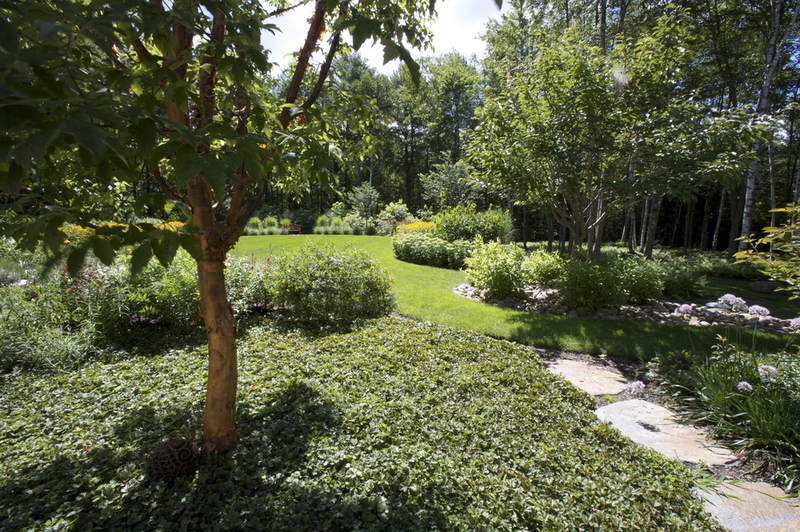 Within stunning New England fieldstone walls, we created an inner sanctuary, while outside the walls, we took advantage of emphasizing the vast meadow aligning with views of Mount Monadnock. 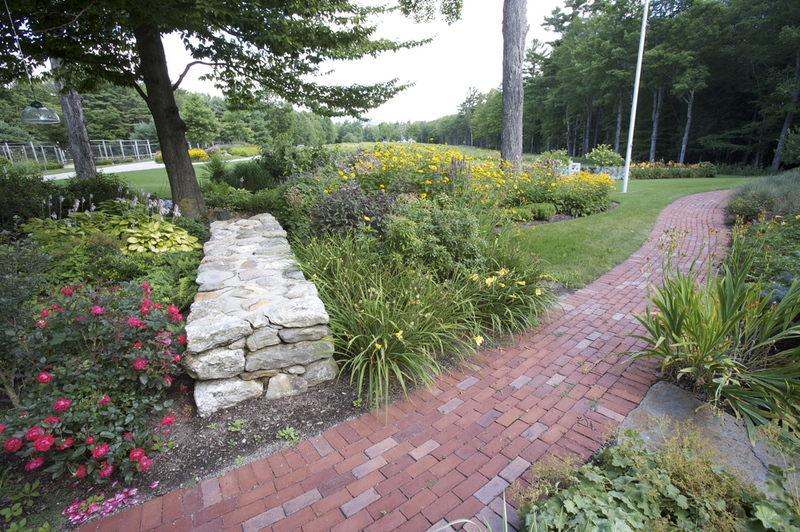 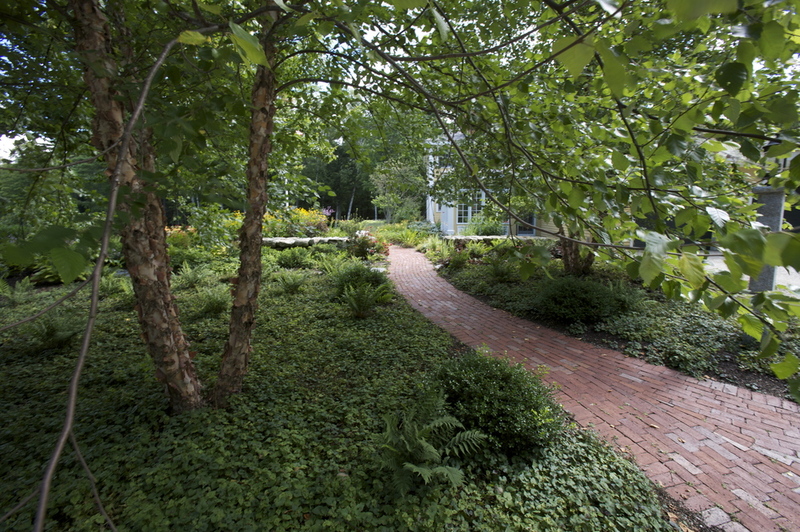 For visitors approaching the front door, we laid a welcoming brick walk surrounded by lush ground cover and birch trees. 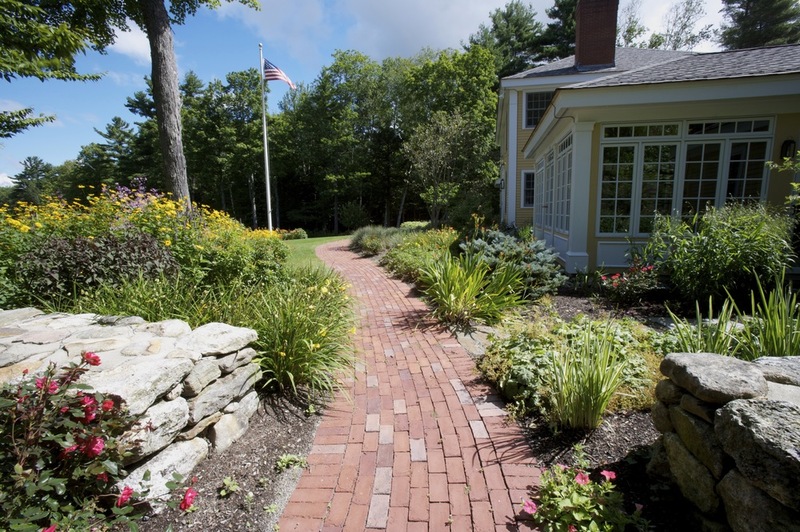 Outside the kitchen, we used classic Boston City Hall Pavers to create a warm and inviting patio space overlooking an expansive lawn surrounded by sweeping perennial borders.